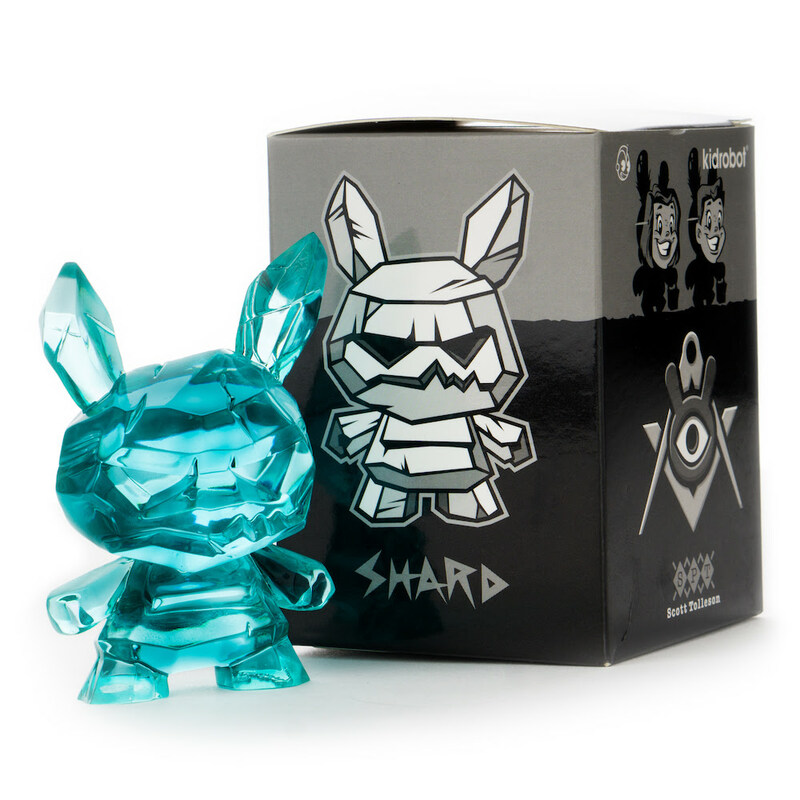 Last week, Kidrobot surprised fans of Scott Tolleson’s awesome Shard Dunny with a very special Cyber Week 2018 release! Check out the Shard Ice Monster Dunny 3” Resin Figure. Collectors may not know that Shard was originally an Ice Monster concept for The Odd Ones Dunny series way back in 2016. The Ice Monster character did not make the final cut for Tolleson’s artist series because Scott did not think vinyl or ABS plastic would fully capture the sharpness and icy features of the character. Fast forward two years later and the Ice Monster Shard is finally here! Cast in beautiful clear resin, Shard has finally come to life as Scott originally envisioned the character. After all these Shard releases it’s hard to believe it is finally available in its OG colorway. This 3” resin figure is a Kidrobot.com exclusive and limited to just 300 pieces. Sadly, it is now sold out.